Male Ring-necked Ducks have striking black-and-white plumage - and a pair of white rings on their bills. The chestnut-colored neck ring for which they are named is difficult to see in the field. This is our totally cute Birdorable Ring-necked Duck! You can customize this gift. Move the duck around, change the background color or style, add text or images -- make it your own! 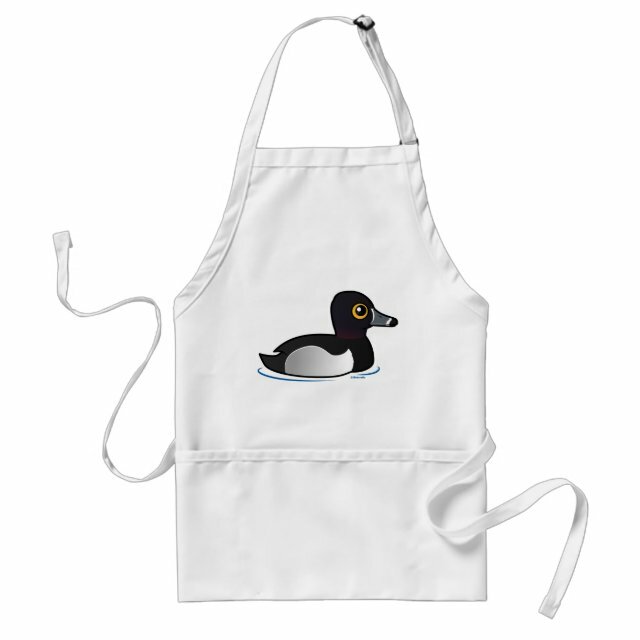 Stay clean while cooking with this medium length 35% cotton / 65% polyester blend twill apron. Three spacious utensil pockets to hold all you need. Machine washable. 24 by 28 inches. Made in the USA.